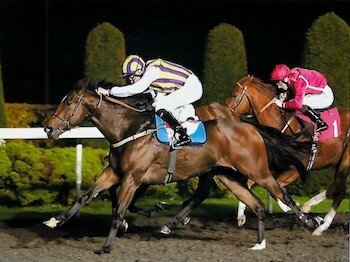 Tinto won at Kempton on Tuesday evening under Robert Havlin in the ’32Red.com Nursery Handicap’ over six furlongs. He was shaken up to challenge just over one furlong out and was ridden into narrow lead in the last 50 yards to just hold on and beat the favourite Isaan Queen. Delighted for his owners Derek James, Michael Quigley and Steve Jenkins.